Here, at Low Cost Car Rentals, we value our customers and their safety. Safety on the roads starts with choosing the right car to hire. 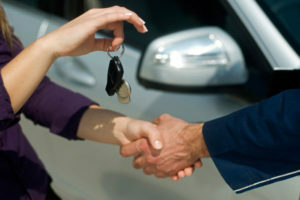 Here, at Low Cost Car Rentals, we are always ready to help and answer any questions you have. 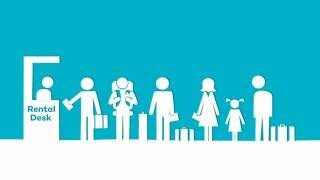 We want to make sure your car rental period is about you, your family and your destination, and worry free when it comes to the hired vehicle. We regularly service our vehicles for hire. We use only trusted mechanics and electricians to inspect the vehicles. 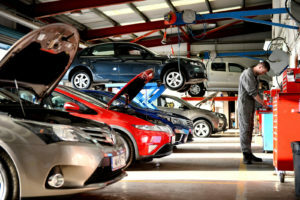 Car servicing is done according to the best practices and sometimes even earlier when scheduled. For example, if we know some customer will hire the car for long period of time or paying for “unlimited kilometres” package, we will inspect and service the vehicle one extra time. When our cars are not on rent, they always parked securely under ground. Unlike most of the car rentals where the vehicles are parked outside, exposed to the sun, heat and rain. Each car has unique characteristics – the indicators and hand brakes can be positioned in different locations. It is especially tricky when it comes to bigger cars like people movers. When you are picking up a vehicle from Low Cost Car Rentals, our trained staff will let you know about the car specifics if any. For example, 8-seater Kia Carnival has 2 different places to put the hand brake on (the very left pedal under your feet) and release from the hand brake (a little handle under the steering wheel on the left). Most of the people movers from Toyota have it all in one place – under your feet. Cars like 7-seater Holden Captiva have it positioned in the most usual location, under your left arm, next to the gears stick. Our Car Rentals staff will never push you to drive away as soon as possible. They will remind you to get familiar and comfortable with the rental car first. Adjust the seatbelts and mirrors, get familiar with all the pedals and nobs, inspect the car stereo and air conditioning operation controls. 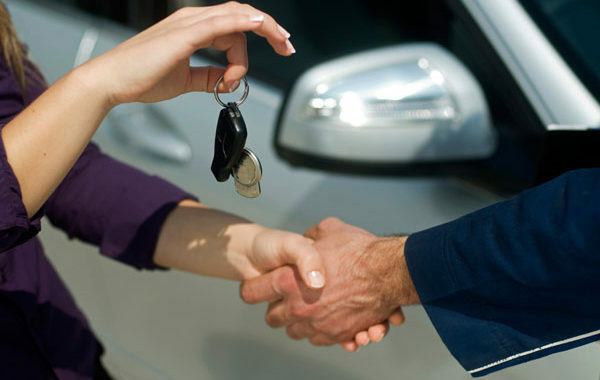 Every single car rent includes a complimentary 24/7 road-side assistance. Tyre puncture, windscreen chip or flat battery can happen to the best of us. We can’t predict where and when that happens. What we can do, is to make sure someone is 30-60 minutes away from where you are and ready to help you out. And yes, once again, it is absolutely free with each car rental. You just need to make sure you obey the basic vehicle usage rules. You can find it on the Terms and Conditions page of your rental agreement. When the hired vehicle comes back from the rental, we ask our customers for the feedback. 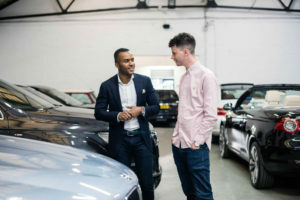 Simple feedback in case the customer noticed some unusual smell, sound or vehicle shaking can ensure we take actions before we give the vehicle to the next customer. Unfortunately some customers are afraid to tell as they think they would be charged for damaging the hire vehicle. We ensure you, those questions asked only for the sake of safety of the next customer. Your safety is our main priority. Please be safe on the roads, drive carefully and obey the road rules. In case you have any concern, please make sure you call one of our staff members and discuss it. Often people enquiry Toyota Corolla, not Toyota Camry for rent. They think about saving a few bucks on the rentals. A lot of people know that the Camry is bigger in size that they see as a disadvantage. And not all people understand the compromises they make choosing a smaller car. Both of these vehicles are popular Toyota models, but it can be difficult to tell their differences just by glancing at them. Lets compare the two side by side and see if it is true. Hope this guide will help you choosing a better car for your next rental. Lets assume you already know that Toyota Corolla comes in two shapes – hatchback and sedan. The major difference between the two is the size of the boot. But it does not mean renting Camry will automatically allow you to carry more. Hatchbacks are often referred to as 5 doors cars, meaning the access to the boot is through the fifth door and it is slightly bigger and more convenient than a boot access in the sedan. Why would it matter if the boot is small? Lets look at the real life examples that would help you to choose the cars for rent. Scenario 1. Julie and Adam have bought a brand new TV 70″. They wish a car for rent to deliver their TV from the shop to their house. The best choice for Julie and Adam is the Toyota Corolla hatchback. Folding the back seats down will give them enough boot space and comfortable access to it. Scenario 2. Matthew and Susan visiting Susan’s parents in Sydney. 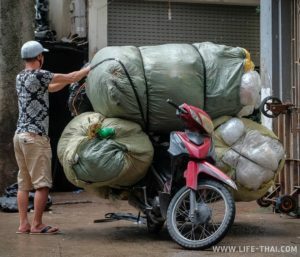 They travel with their newborn baby boy Ayden and carry a lot of baby stuff and a large bag of their own clothes and gifts for the relatives. The best option for Matthew and Susan is to rent a sedan, either Camry or Corolla. The bigger boot can fit all the luggage without folding the seats. The rear of the car will have enough space to install the special child seat for the newborn. 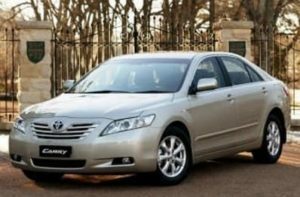 Why choose a Camry Sedan for rent over Corolla Sedan? These models might look similar, but they actually fall under two difference classes of vehicles. The Corolla is considered a small size sedan and the Camry is a midsize sedan. Since Corolla is a smaller car, it might give you a slightly better mileage. However, the difference will not cost you an arm and a leg unless you intend to travel around Australia. Lets modify Matthew’s and Susan’s situation described in the previous chapter and add another condition to the equation. Now, the couple wants to visit a few relatives in the country and will need some space for Matthew’s in-laws Brendan and Bridgit. There would be only minimum of baby clothes and nappies in the boot. So some people might even think a Toyota Corolla Hatchback would will fit it all. Which is partially true. Any 5-seats car can fit 4 adults and a child seat. However, if you ever travelled in that car for more than 20km, you would understand our concern. A few things to remember, Toyota Camry is a more powerful car. 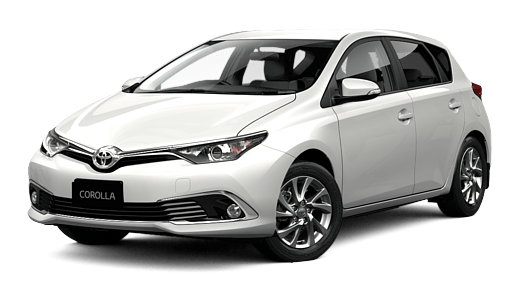 Looking at the Toyota Corolla 2016 model Sedan and Toyota Camry 2016 model Sedan. Corolla is 132 horsepower versus Camry’s 178. It is a huge difference for our hilly and curly highways in NSW. Toyota Camry will comfortably pick up the speed after slowing down on the turns, and will better handle up- and down- hills. Even having very big load on the car, you should be able to comfortably use the Camry’s cruise control allowing the car adjust the speed and get to your destination faster. Surprisingly, not all the hatchbacks fitted with the aircon vents at the back. So travelling in the overloaded Toyota Corolla most probably would add some time to get to your destination. You would also need to allow extra stops for the fresh air and limbs stretching. Give the driver extra support as they would need to handle most of the trip without using the cruise control. If you have a large piece of luggage and/or only a couple people travelling, Corolla would suit your needs. 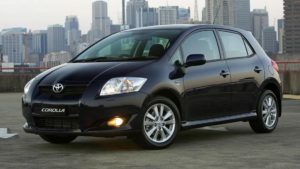 See the detailed review of Toyota Corolla 2015 model Hatchback for better envisioning of the car interior and exterior. If you have 4-5 adults travelling with or without luggage, renting a more powerful Toyota Camry would be a wiser option. Corolla is a better choice for city use if you travel on your own and occasionally have 2-3 people in the car besides you. It is an easier car to park and it provides a better economy on fuel. You might even look into cheaper car rental options like Hyunday Getz for rent. From safety perspective, lap-sash seatbelts offer better protection to passengers than lap-only seatbelts. All 5 seatbelts in Toyota Camry are lap-sash, so it would be a safer choice for 4+ travellers. Please check with your car rentals company first, as different year models might have different configurations. See Seatbelts Rules in NSW for more information on the setabelts safety.